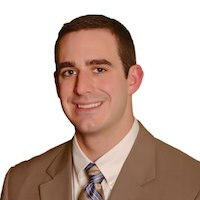 Born and raised in beautiful Charleston, West Virginia, Andrew “Drew” W. Holbrook joined Hendrickson & Long, PLLC in 2016. He works predominantly in the firm’s practice areas of insurance defense, product liability, and toxic tort. Drew graduated from West Virginia University in 2011 with a Bachelor of Science degree. He then went on to earn his Juris Doctor from West Virginia University College of Law in 2014. During his time at WVU, Drew’s pride as a Mountaineer and skills as a writer afforded him the opportunity to serve as a reporter covering WVU athletics for Blue & Gold News for two years. Prior to joining H&L as one of their elite WV insurance defense lawyers, Andrew gained valuable knowledge and experience serving as an intern in the Kanawha County prosecutor’s office. He now uses that experience and dedication to help meet the needs and goals of every client he represents. When not in the office, Drew enjoys spending time with friends and family watching and supporting the Mountaineers.